Noah Drake was that guy--the one always on the lookout for his next adrenaline high, so it was no surprise when he took off across the world, seeking adventure as a travel writer. But one thing he could never escape was Piper Bellini, the girl who got away--the girl he let get away, a fact he's never let himself forget. When he returns to Echo Lake to see if there's any chance the flame between them can be rekindled, he never expects to spend the night holed up with Piper in a roadside diner while a blizzard rages outside. It's exactly the kind of situation that sent Piper running years ago. 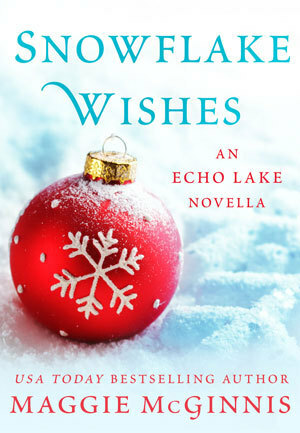 But this time, Noah may have been handed a Christmas miracle, and he intends to make all of his and Piper's wishes come true.